Two Little Cowhands: Doing "Challenging Works"
Clyde is still in his primary Montessori class that is ages 3-6, but now he's officially a kindergartener, so he has to make sure to do "challenging works". 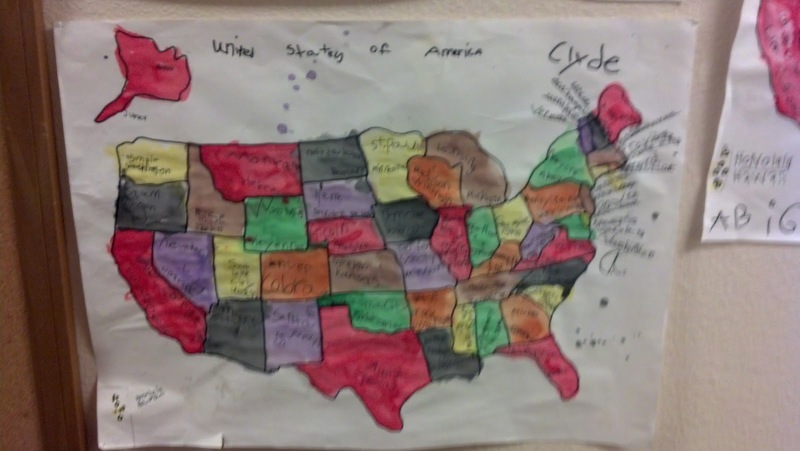 The transition from the public school back to Montessori has been pretty seamless. 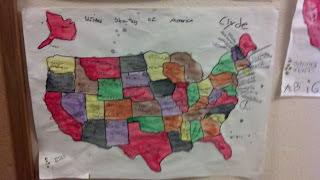 I loved the USA map project the kids just did. Clyde keeps telling me, "I had to write 104 words" when I ask about it. He thinks Santa Fe is a really funny name for a town.